What Makes a Good Tool Box? A tool box is specifically designed for convenient and easy transportation of tools and other work materials. Having a tool box enables you to take the specific tools you need for the job without having to move around your entire tool chest or larger tool storage device. Whether you want to take your tools to the garage or to a different site being able to have everything in one convenient box saves time and frustration. A tool box is also a great starter case for those who are just starting to build up a tool collection. The tool box is the perfect way to store smaller tools providing a portable home for them. Tool boxes are generally small to medium in size based on the one you choose. They are equipped with a handle for a comfortable grip and are small enough so that even when full they are light enough to carry easily. It’s important not to choose a tool box that is too large as they can become heavy once loaded with all your working materials. 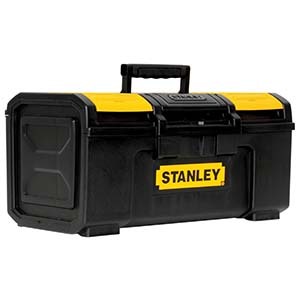 We have conducted an extensive search for the best tool box and after testing the one that ranked highest in all categories, including; durability, quality, craftsmanship, tool capacity, customer satisfaction, and carrying weight is the Stanley STST19410 19-inch tool box. The heavy duty plastic construction keeps the box light, while still giving it the strength to carry a full load of tools. The latch is spring loaded and designed to open with one hand and close automatically. It also has the ability to lock to secure your tools. Tool boxes have so many uses and can easily benefit many people. A great quality of tool boxes is that their size allows plenty smaller materials to be stored and organized making them useful for more than just tools. Tool boxes could just as easily store fishing gear, craft supplies, paint supplies, cables and wires, and virtually any item you may need to keep in one place and be able to take on the go. Tool boxes are durable enough to be filled with heavy tools, nuts and bolts or other lighter items that need to be kept together. 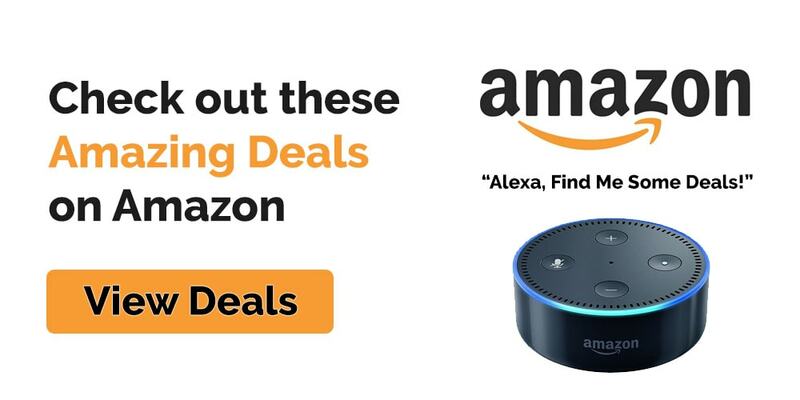 With their low cost this should be an item that you have to keep you organized. Even if you have a large tool chest or cabinet, those stored items cannot be easily transported making a tool box a great complement to your other organizational items. It is the perfect way to load up the tools you need for a specific job and save you trips back and forth. Tool boxes are benefited by those just starting out who need a place to store tools and accessories along with professionals who need a way to move tools around conveniently. Construction workers, painters, DIYers, auto mechanics, plumbers, home owners, and cable installers all can benefit from a tool box. There are several aspects that make up the best tool boxes, the first being size. 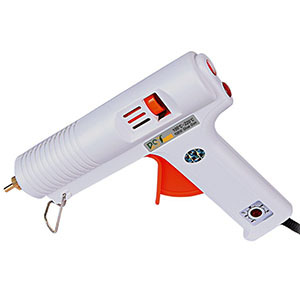 As mentioned above size can be an important factor in your tool box. If you choose a tool box that’s too large it may become too heavy for you to transport once filled with your materials. On the contrary choosing a tool box that’s to small will significantly limit your storage space. It’s important to find a balance that’s going to allow you the space you need to store your materials but also providing you with a safe and comfortable way to transport it. Tool boxes are generally found in either plastic or metal material. The metal boxes are heavier in weight and have a problem with rusting. Plastic boxes cannot be left out in the sun and when they are weighed down, if the handle is not secured well enough it can buckle. If you choose the lighter weight plastic, the quality of the plastic and security of the handle will make all the difference. Another quality that will impact its usefulness is the compartments. Some boxes have a lot of small compartments which is great for storing screws, nuts and other small items but can leave little room for larger items like hammers and wrenches. Small drawers and pockets in a tool box are a fantastic feature to have as they can keep your tiniest bits and pieces from getting lost in the mix of larger ones, as well as giving you a cleaner and more organized work space. Often times you will find a tray included in your tool box. If the tray is removable then you can adjust the compartments based on the job at hand. Outer compartments also help you get to smaller items without taking up space on the inside. One key feature to a top quality box is to have hinges and a handle that can withstand the heavy weight of a box loaded with tools. Having a strong handle is essential because it’s your primary way of transporting your materials. Sure you could lift and carry your tool box with two hands but why miss out on the one handed convenience. If your handle is not properly equipped or made of flimsy materials it could easily break under the weight of the tools. Look for a strong, sturdy, yet comfortable handle to support your tool box. Lasting the ability to lock may or may not be important depending on your application. Most tool boxes do not come with locks but many offer a locking hole where you can insert a lock if your needs dictate. We began our research by first conducting a general search for tool boxes. In doing this we were able to determine what features and quality’s make up the best tool boxes such as carrying comfort, space availability, heavy duty craftsmanship, adequate size and weight, tool organization and compartments, and the ability to lock if desired. Following this we reviewed tool blogs, forums, magazines, and received expert advice which allowed us to determine the best brands and models of the currently available tool boxes. We then consulted both every day customers and professional to find out which tool boxes held up best in real world performance and over time. 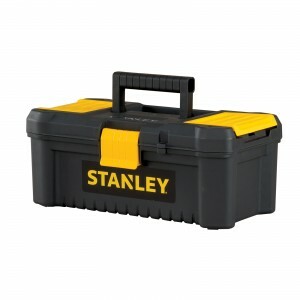 The Stanley STST19410 has a 19-inch capacity storage with a range of valuable features. To begin with there are two small compartments at the top of the box that can be accessed without needing to open the tool box. These are secured with high quality latches for easy access yet secure storage of smaller items. This is a perfect place to safely and securely store nails, screws, connecters, and other small items. Inside the box is a removable tray that enables you to store more items inside. Beneath the tray you are able to store larger items like hammers, ratchets, or screwdrivers. The handle is high quality and is very secure on the top of the box enabling you to lift a full tool box with ease. It comes with grooved grips for more comfortable handling. The latch is also self-closing which is very convenient. The Stanley STST19410 also includes a one hand operation latch which you to open, close, and latch your box all with just one hand. The latch also leave space so that if you wanted to add a padlock you have that option. If you are looking for a larger or smaller size, this toolbox is also available in 16 and 24 inch options. 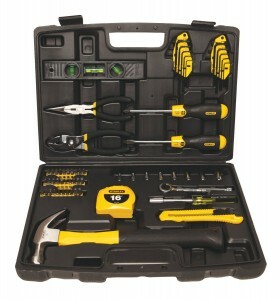 If you are looking for a bit more storage space, and even more compartments in your tool box the Dewalt DWST17808 long handle tool box is a great choice. This tool box is equipped with a flexible platform that allows different combinations for you to organize your tools exactly how you see fit. 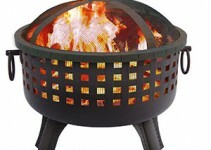 It also features heavy duty metal latches to keep your materials safe and properly secured at all times. This tool box offers and entire upper level compartment with organized small compartments enabling you to neatly store your smallest parts. 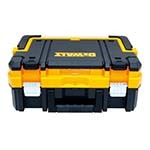 You will also find a large main compartment capable of fitting your everyday work tools. This upgrade still weighs in at under ten pounds for a light yet heavy duty carrying experience. It comes with an extra-long handle for easier portability and can carry up to 66 pounds’ worth of tools. Below is a short list of safety and maintenance tips for using your tool box. Always ensure that the latches are hooked properly before trying to carry. Ensure to keep your tool box locked or latched whenever it is unattended. If you tool box becomes heavy due to its materials be sure to lift with your knees and not your back to minimize worker fatigue. Always place your tool box in plain sight while working so it does not become a tripping hazard. Never overload the box so it becomes too heavy for you or the structure of the box. Clean your tool box frequently. Store your tool box in a cool dry place. Avoid leaving your tool box outside for long period of time where it may become susceptible to weather damage. Tool boxes are a convenient and compact way to carry around all of your work materials. 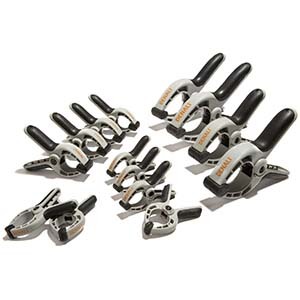 They can provide a safe way to store and transport smaller tools as well as helping you keep tools clean and organized. Tool boxes are also not only limited to just tools but be can a great storage device for many different hobbies that have a lot of small parts.